Great buy for this low maintenance all brick, rocking chair front porch 4 bedroom 2 bath with an awesome backyard! Perfect for first time homebuyer or investment opportunity! Fresh paint throughout! Newer hot water heater! Gutters added! Living room with updated ceiling fan and cozy wood burning fireplace! Kitchen with pantry, newer range/oven and dishwasher plus the refrigerator stays! Huge laundry room and the washer and dryer will remain! Kitchen, baths, dining and laundry room all have ceramic tile flooring! Each of the 4 bedrooms have ceiling fans! Owners suite with private bath! Great backyard area with double gated privacy fence, firepit and storage building! 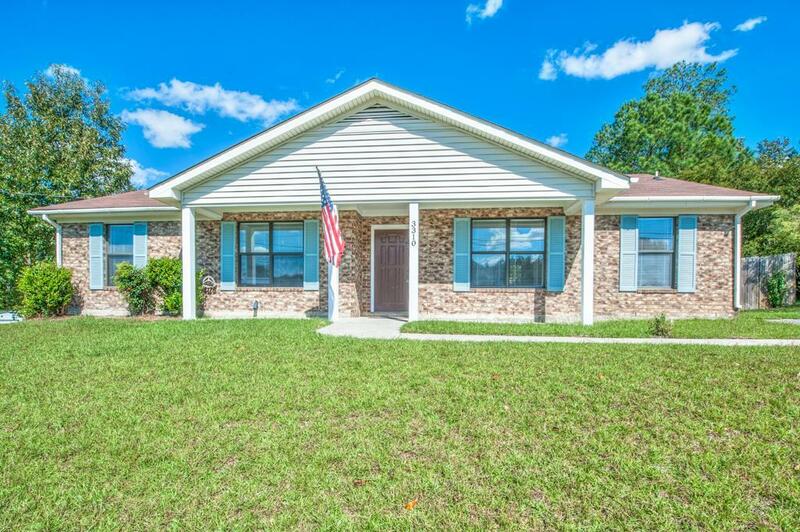 Close to Fort Gordon and easy drive to shopping, restaurants and more!